I warned you that there were going to be more tahini recipes! This one has even been approved by one of my dear friends, Diana, who hasn’t quite hopped over to the tahini lovers side. When tahini is paired with coffee AND chocolate, you’ve got a dangerous combo. If you follow me on Instagram, you already got a peek at this recipe for the Iced Tahini Mocha, but I’m also sharing the Maple-Tahini-Cacao Sauce to go with it. 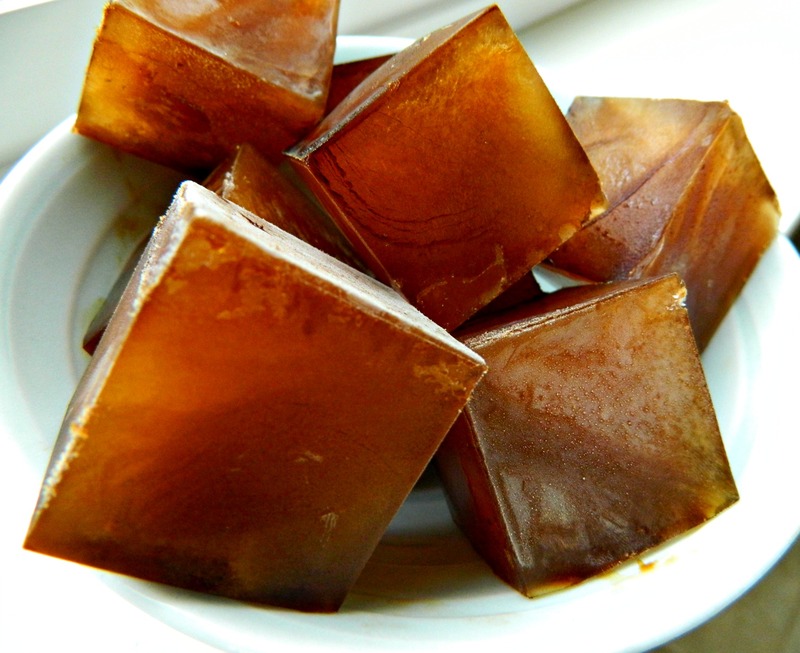 So, go get some coffee ice cubes set to make this delicious treat! *If you aren’t a fan of dates, you can use maple syrup or coconut nectar to sweeten. **You can use a coffee substitute such as Dandy Blend OR Click HERE for an oldie, but goodie recipe of mine for a Raw Mochaccino using all superfoods and no coffee or coffee substitutes. I apologize for the old photo, I’m working on getting some of my old recipes updated. ***For an added superfoods boost, add 1/2 – 1 teaspoon of reishi mushroom powder. Blend everything, but the coffee ice cubes until smooth. Add the coffee ice cubes and blend again. If you would like a thinner consistency, add more water or a neutral tasting “milk” such as almond or cashew milk. 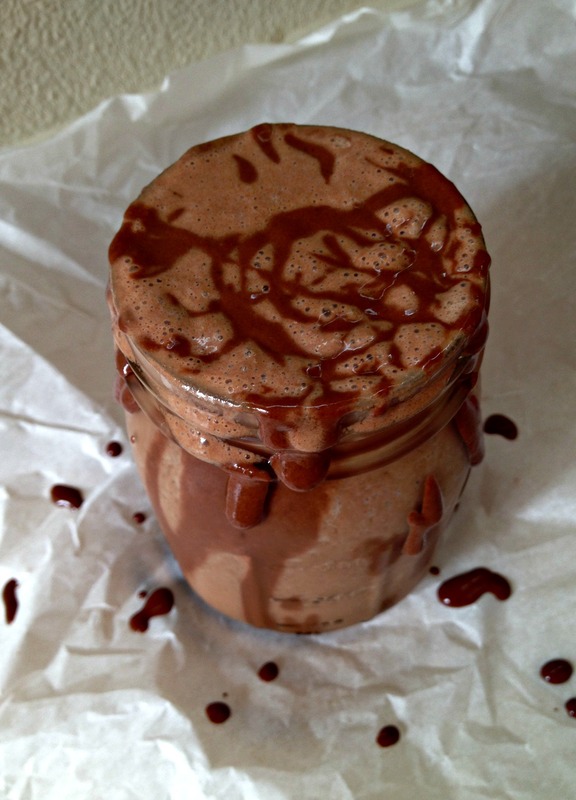 Optional – drizzle the glass with some Maple-Tahini-Cacao Sauce (see below for recipe). Optional – pour over ice. I drizzled some extra sauce on top – because, why not?! Creamy, dreamy, rich, sweet and oh so chocolatey! 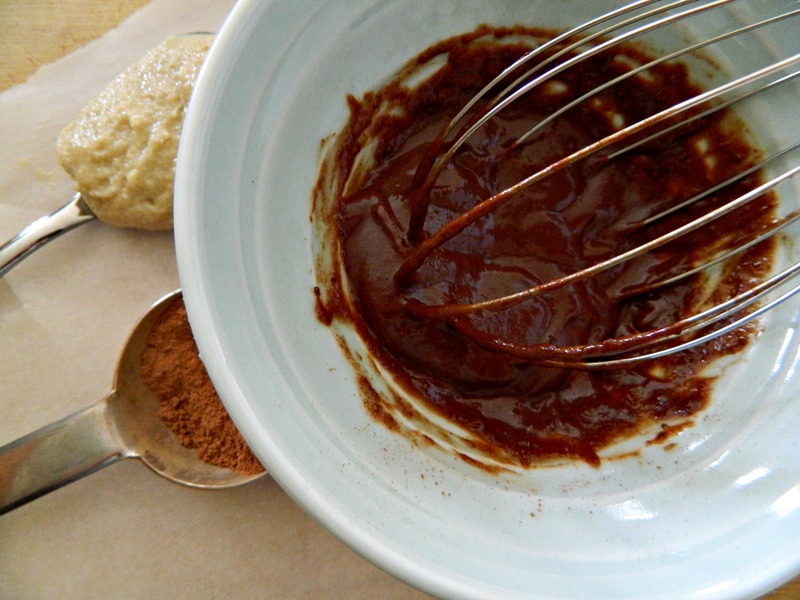 In a small bowl, whisk together the cacao, tahini and maple syrup until “clumps” are smoothed out. Next add the milk and whisk again. The sauce will thicken up as it sits, so you might need to add more milk if not used right away. Any leftover sauce can be stored in the fridge. It’s delicious on ice cream, smoothie bowls or eaten with a spoon! <<GIVEAWAY>> Open to U.S. residents only, sorry! If you follow me on Instagram, you already know that I finally reopened my Etsy shop! As of now I’m selling handmade lip balms using almost all organic/raw ingredients and will soon be selling lip scrubs, body butters and deodorants. I did a giveaway last month on IG for a couple of lip balms and as promised, I’m doing another one now that the shop is up and running. 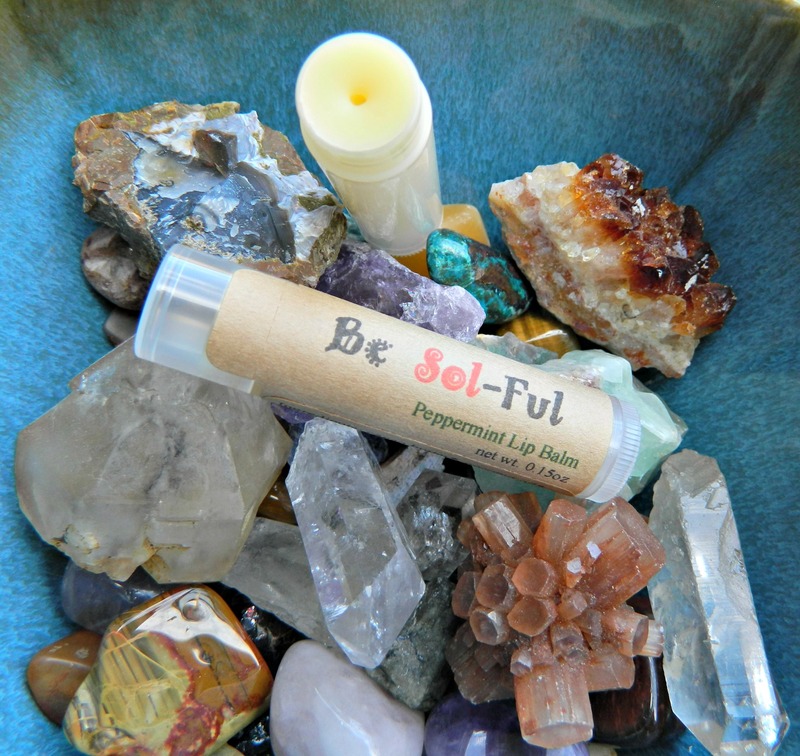 I’m giving away a lip balm to two of my readers/IG followers. 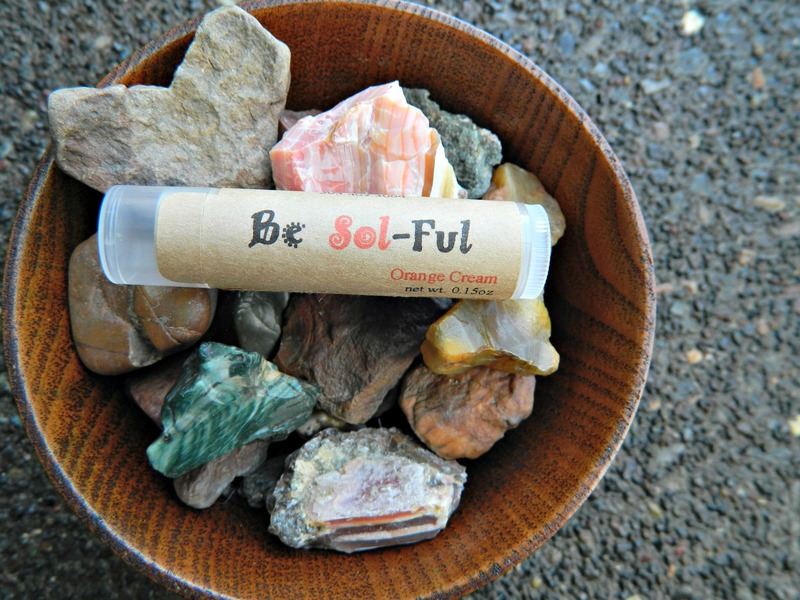 All you have to do is leave a comment below telling me which lip balm flavor you would like if your name is drawn (Orange Cream or Peppermint) and some of your favorite essential oil scents! I’ll also be posting a photo on IG (@be.sol.ful) for a chance to enter the giveaway – so to increase your chances of winning, be sure to leave a comment there, too! I will be drawing a couple of names next Friday evening and will announce the winner on Saturday, May 23, 2015. Good luck! I’m not much of a coffee person but this sounds delicious!! And looks it too! I’ve actually made a quick similar sauce before and it’s SO good. Long live tahini!! Oh my goodness, that mocha! Both flavors of lip balm sound good but I would have to go with orange cream. My absolute favorite essential oil is lavender. It smells amazing and has awesome healing properties. Oh, it’s delicious! You don’t even need to be a true tahini lover to enjoy it as it’s very chocolatey! I’m partial to orange cream ❤ it's my favorite flavor! And I'm with you on the lavender – we use it almost daily! Thank you for entering the giveaway! Mandy I’m still dying, absolutely dying to make this and THANK YOU for no bananas, hahaha!!! I’m saving this recipe now…I keep forgetting to freeze some coffee but after seeing Diana’s and Nora’s versions, I need to make this STAT. It looks absolutely gorgeous! Mandy, well as you know by me raving about it on Instagram, it was incredible!!! I seriously guzzled it down like nobody’s business! Even Olivia guzzled hers down. 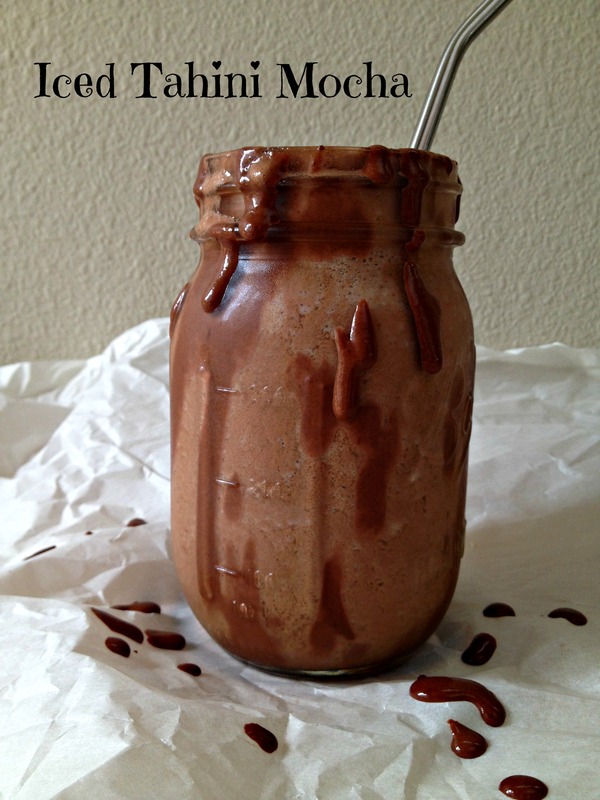 You know I love both chocolate and tahini and I have several recipes on my blog with that combo, as it is a favorite of mine, so when I saw that you put those flavors in a smoothie…I couldn’t wait to make it! I added some cocoa nibs on top and dried raspberries just for a crunch factor and it was such a wonderful yummy party in my mouth! I’m so glad you decided to post this on your blog!! Made this today! Loved it! 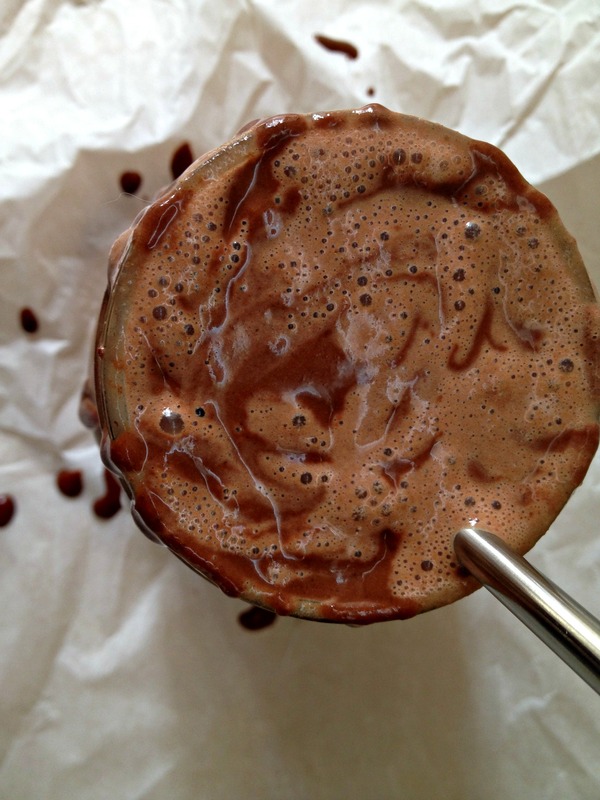 The tahini added the perfect level of creaminess…my first time trying it in a drink! I think I need to make it thicker next time and also use the sauce! But it was delicious! Definitely making it again. I have to try some of those superfoods you mentioned…Thanks Mandy! Made this again just now! After a morning of swimming…really hit the spot!